Note: This bag was sent to me from Piorama as a review sample. It’s been hard for me to miss knowing about this bag, it seems that the A10 Adjustable duffle bag is everywhere I look these days. It is an intriguing bag too: expanding to double the size, with both a shoulder strap and a backpack strap setup. I’ve also not read any bad things about the bag, so I jumped at the chance to test this bag, and test it I have. So far it’s been on three trips with me, and I’ve sent it through the bag hell which is checking it for a flight. Even after all of that, I still have a bag which looks nearly new, so let’s talk about this bag. The first thing to talk about is the sizing of the bag itself. 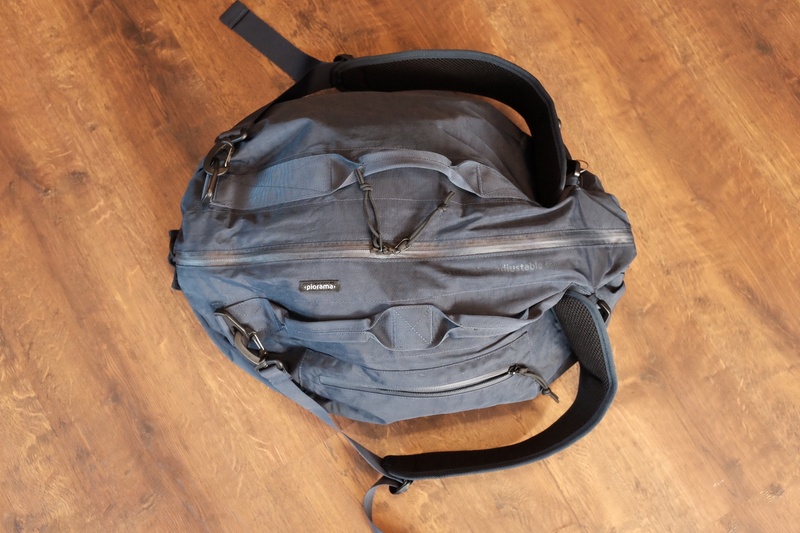 This bag can be “adjusted” from a robust 31 liters, to a massive 62 liters. The A10 handles this with two drawstrings at either end. Loosen the drawstring and you can pull out another section of the bag making it 15 or so liters larger. This can be done on just one end, or both. When scrunched up, the bag itself goes inward, but doesn’t actually cause much problem for the gear stored in the bag, which was my biggest concern. I should also note the bag can be compressed down to a small disc ball thing should you want to stow it for travel, but the straps do interfere with that a bit. At it’s smallest setting, the bag is large. The diameter of the bag is bigger than I expected, making the bag carry shorter than you might assume, but giving you tons and tons of room inside for packing. Expand the bag, and it quickly becomes massive. There’s no other way to put it — 62L is a big bag. I have yet to find a use where I would want that much space, but I can assure you the bag easily grows to that size. Adjusting the bag is quite easy, and can be easily expanded without unpacking it. To contract the size of the bag, you are best with the bag mostly empty, but I did manage to finagle the bag smaller while it was pretty full. The drawstring system works much better than you might imagine too. 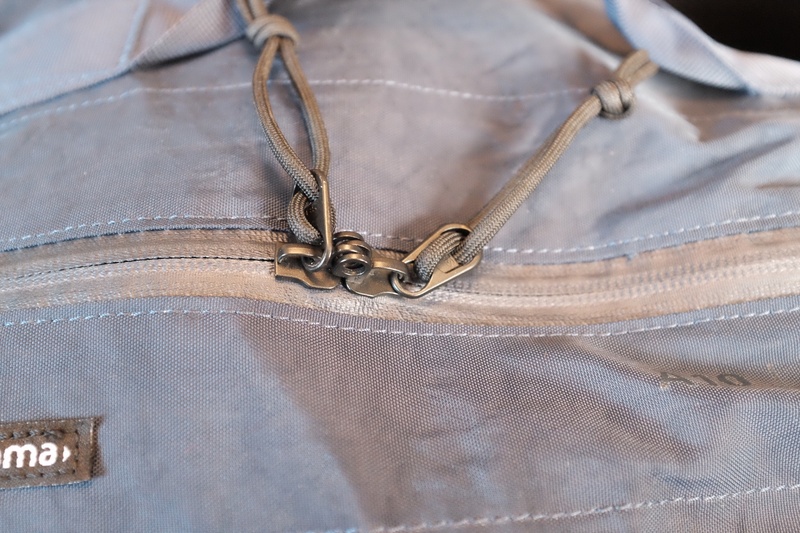 It looks fairly clean — especially with the magnetic pocket to stash the extra drawstring cord in (which the cord stayed in through checking the bag). It is quite clever and reassuring to know that you are not likely to run out of bag space if you pack it full at it’s smallest size. Carrying the bag as a shoulder duffle works quite nice. 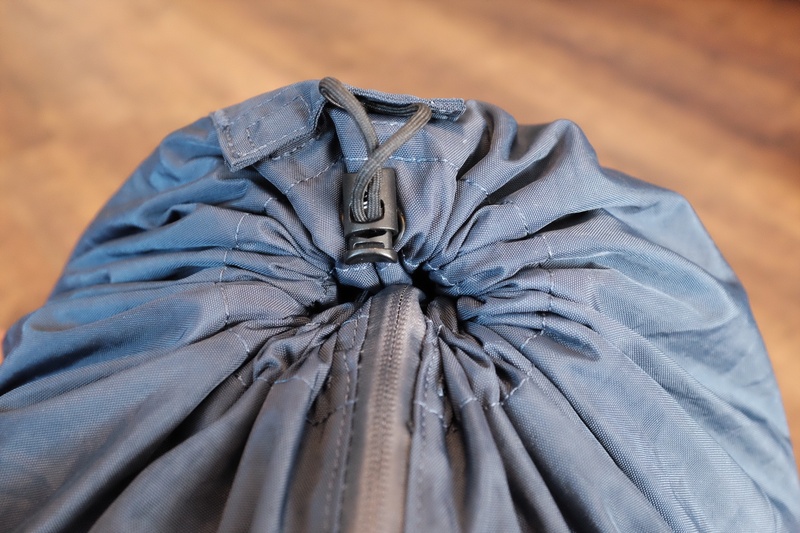 There’s four attachment points on the bag, two on each side of the zipper opening. I like to attach the strap diagonally so that the bag is forced to wrap around my hips better, and also to keep the bag balanced. The shoulder strap itself is among the better shoulder straps I’ve received from a bag manufacturer. It has a nice width, and a great shoulder pad. No complaints at all. Let me preface this section by saying that I have yet to find a duffle bag which converts to a backpack and does it well — nor do I find most bags like this to make good backpacks. With that out of the way, the A10 comes with two additional straps which attach to two of each of the anchor points to create a backpack. 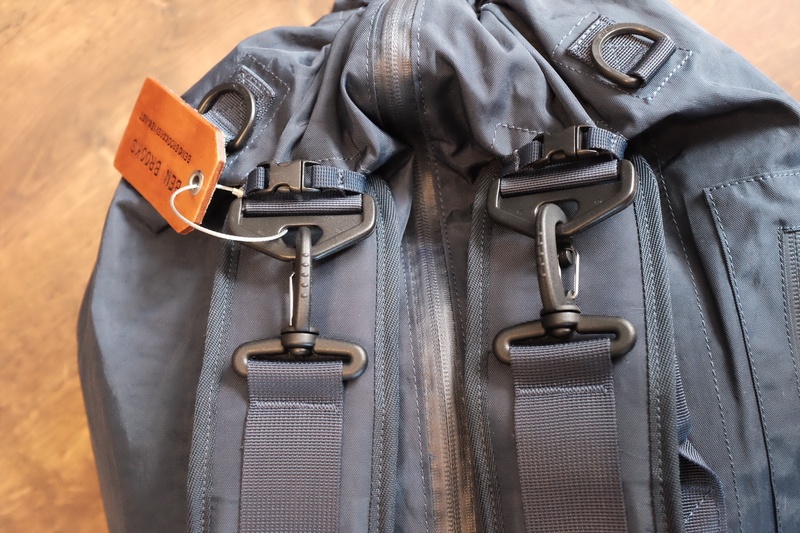 They have a clever little additional clasp at the top to better form the backpack strap shape, and have a bit of rigidity to the padded section of the straps themselves. When I first hooked this up, I was pretty convinced it wouldn’t be comfortable with the handles and the zipper against your back. However, in wearing the bag as a backpack, I found the comfort against my back to be just fine. The straps too were fine. The biggest issue is the depth of the bag which is far too deep for a backpack, and thus pulls you backwards. It’s one of the better backpack implementations I’ve used, but this should not be thought to be the primary carry method. Perhaps with more strategic packing you can make it better, but this would require you to pack opposite of how you would normally pack (with heavy on top, instead of at the bottom). It’s always nice to have the option for a backpack style carry, and I can’t fault Piorama for that. Also, it is great that you can fully get rid of the backpack straps and not have to worry about them. It’s not bad in a pinch, but I wouldn’t say this is a substitute for a good backpack. The A10 has locking zippers, which right away makes me curious about checking the bag. Piorama assured me it should be fine to check the bag. So I tossed it on the conveyor belt and let it be abused by baggage handlers. I had two main worries: some of the attachment points would get snagged or even the drawstrings, or the soft nylon would get shredded. After getting it back, I see no issues at all which would dissuade me from checking the bag again in the future. This is an important aspect to this bag, because at 31L you can carry it on, but if you expand it to 62L you will have to check it. Given that it came out unscathed, I wouldn’t hesitate to check the bag again. There’s a few nice touches to this bag, the first is the grab handles. There are three of them, spread out so that no matter how you have the bag expanded, you will have one handle in the center to hold. Also, because these handles are single and not two straps that you have to meet together, it is very fast to grab the bag and move it around. 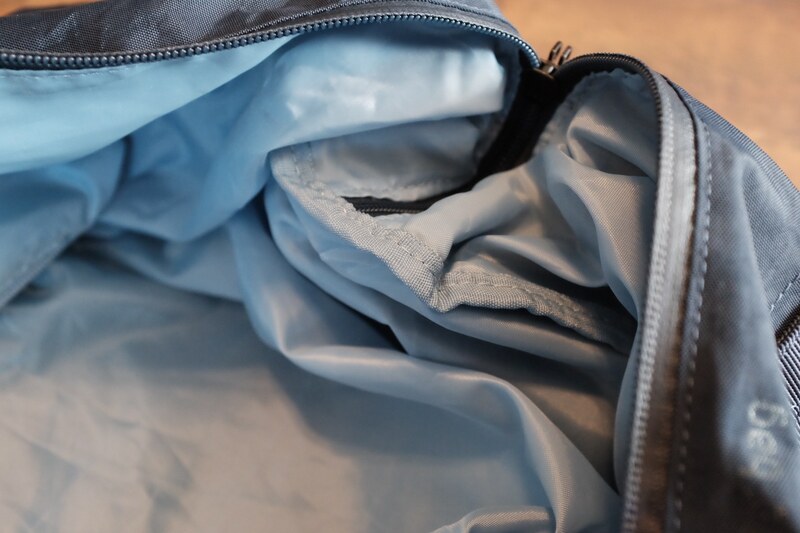 The bag is also a double layer material, where the inner nylon floats free of the outer. This allows the bag to look less stuffed than it otherwise would. It also better masks what might be in the bag. This is something you don’t really care about until you have a bag with it, and then you wonder why more companies don’t do it. Part of the expansion of the bag means that the zippers have to be longer than needed when in the smallest configuration. This is fine, but you have to learn to not unzip them all the way otherwise it becomes quite annoying to try and zip the bag shut. Part of me wonders if it wouldn’t be better to have the zippers only be sized for the smallest configuration, though that’s annoying in another way. The only other complaint I have is that the bag needs some way to compress the diameter of it smaller. As it is, it is quite large and if you are not filling it completely it can be a bit more awkward to carry. The way I would sum up this bag: I made room for it in my special bag cabinet. Whereas many bags make their way up to the “kids bags” or the attic, the A10 is firmly a bag I will be using. 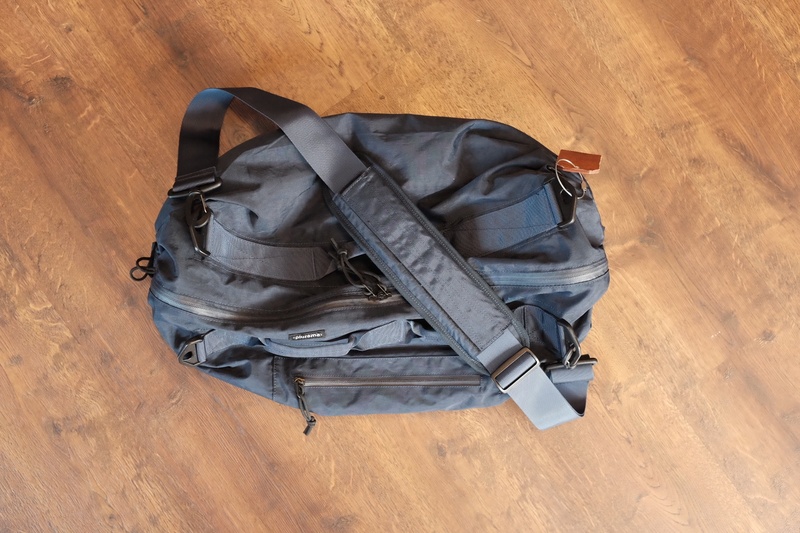 It’s the best duffle bag I own, and the most versatile too. I doubt I will pack the backpack straps with it much, but I suspect I will end up using it whenever I travel with the kids or need to carry bulky items. It’s a great bag, and I only hope they make another model which is perhaps even smaller. 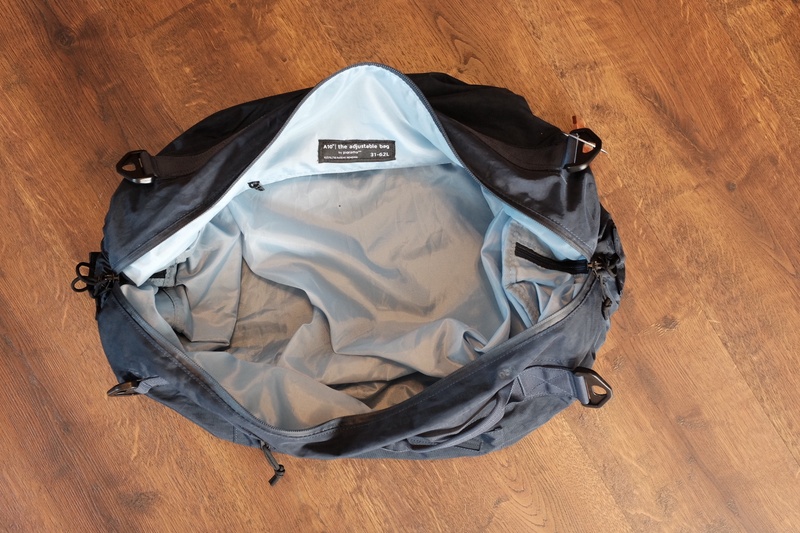 A duffle bag, and backpack, which grows to carry any gear you throw at it.